Sixteen-year-old Elif Bilgin from Turkey spent two years developing a way to create bio-plastic out of banana peels, as a replacement of the traditional petroleum-based plastics. Petroleum-based plastics harm the environment in countless ways, including by representing 90 percent of all trash floating on the ocean’s surface, with 46,000 pieces of plastic per square mile. She also discovered new areas to use her manufactured bio-plastic in making cosmetic prosthesis and the insulation of cables. 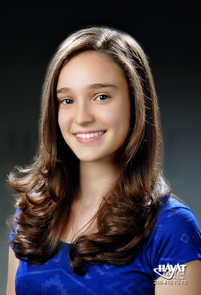 The young inventor won the 2013 $50,000 Science in Action award from the Google Science Fair, which also provides her a year of mentoring to help develop her work. When she first started taking interest in the bio-plastics field, Elif came across a paper on how to make plastic out of potatoes and mango peels. She instantly thought it would be a breakthrough in her field to find a waste material that she could recycle to make plastic. She anticipated that banana peels would be great, because they contain starch and cellulose, key raw materials needed in making plastic. At the same time, banana peels are cheap, eco-friendly and abundant, as Thailand alone discards 200 tons of banana peels a day. Using very little equipment, she subsequently spent two years conducting 12 pilot experiments, 10 of which did not lead to the expected results, because the plastic that formed was not resistant enough or decayed rapidly. Only her last two trials were successful, as she managed to make plastics with the features she wanted, which also did not decay. At one point during her first year of experiments, she thought about quitting, but, after three months, decided to resume her experiment. The young Turkish inventor has always been an excellent student, with a particular interested in climate change and the environment and determined to take action. In terms of future plans, Elif hopes to attend Medical School in the years to come and to continue developing projects with an environmental-focus, such as building a greenhouse made of waste materials.